Today I have my first of several holiday stamp conversions. 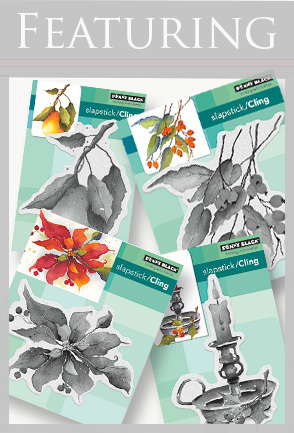 For me, Penny Black's holiday brushstroke designs are just too beautiful to be used only at Christmas! 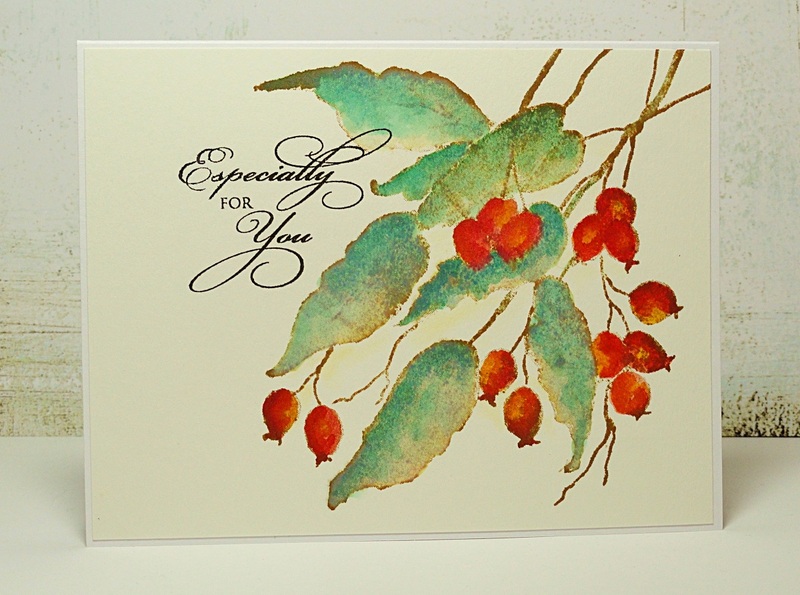 Berry Kissed reminded me of the cherry trees in northern Michigan and inspired me to create a Berry Kissed card that could be sent any time during the year. After stamping Berry Kissed in Brushed Corduroy on watercolor paper it was watercolored with Fired Brick Red, Dried Marigold, Evergreen Bough and Peeled Paint Distress Inks. The Treasured Sentiment was stamped in Onyx Black VersaFine. Especially for you for any time of the year!